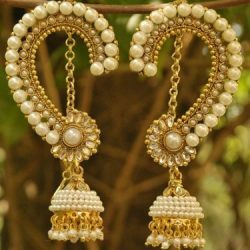 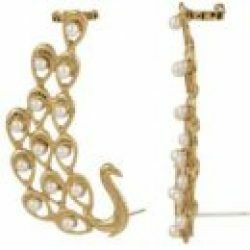 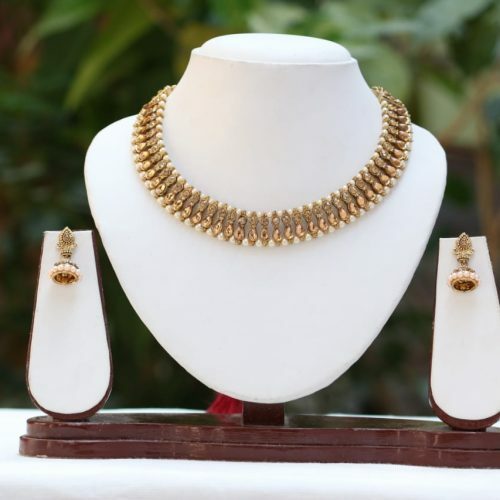 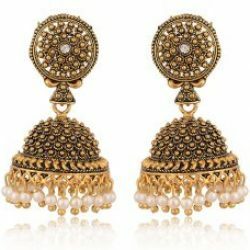 Designer Peacock Ear Cuffs In Gold Tone – It’s been a while since ear cuffs made re entry into the fashion world from 90’s era and since then they have been ruling every fashion events from red carpets to wedding parties. 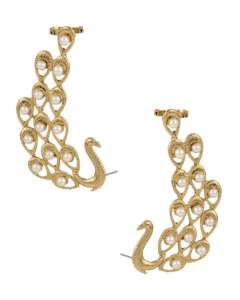 This pair of peacock ear cuffs is designed keeping in mind modern women and her style sense. 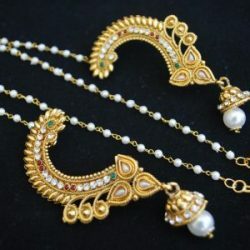 A must buy to look graceful effortlessly.